Ryan Hall just didn’t really want to run any more. He was retired from being a professional athlete and far more interested in lifting weights than lacing up his running shoes. He was a reluctant training partner whenever his wife Sara – also a tremendous distance runner – would ask him to join her to put in some miles. You could understand why. 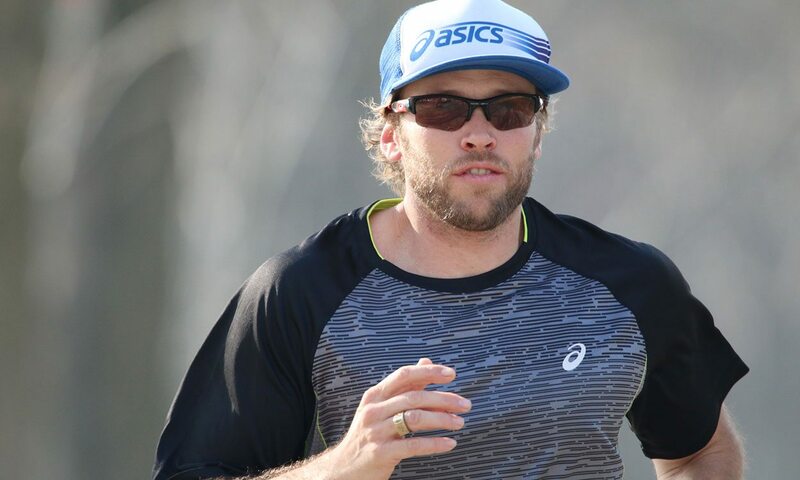 After devoting so much of his life to the pursuit of running quickly, and reaching the top echelons of his sport – he’s a two-time Olympian, remains the only American ever to run under 60 minutes for the half-marathon (his record is 59:43) and boasts a marathon personal best of 2:04:58, which is also a national record – his reward was to have his career cut short. In January last year he announced his surprise retirement, citing chronically low testosterone levels – and the fatigue which that induces – as the reason why he had to call it quits. He began to work on a bodybuilding regime, changing his physique and trying to put his past behind him. Then, one day, his phone beeped. The text message it heralded was from a friend who is also a runner and a man who had news to share. He had signed up to something called the ‘World Marathon Challenge’, an event which involves running seven marathons on seven continents in seven days. Hall’s friend is a pastor at a place called the Dream Center – a church in Los Angeles which offers the homeless people of the city a chance to start again – and he saw the challenge as a way to raise awareness as well as push his body. Hall has spoken at the Dream Center before and, when he read the message, his mind began to whirr. He, too, was struck by the idea of hitting the roads and testing himself again. What had he signed up for? A week of marathons which took in Antarctica, Chile, Miami, Madrid, Marrakesh, Dubai and Sydney. Hall’s thought process was that it would be a good trip, a great way to help the charity and present an opportunity to run himself fit. It would also allow him to reconnect with – and perhaps say a proper goodbye to – an event which had been part of his old life for so long. “My head was spinning, thinking ‘how is that even logistically possible?’” says Hall of the challenge he undertook. “It just sounded like an epic adventure and, looking back on it, I’m really glad I did decide to do it. Benefitting the Dream Center had a huge impact but it also had a huge impact on my own life. “I never got to have a farewell race, at least not a farewell marathon. I always pictured having one last race where I finish, I take my shoes off, put them on the finish line, walk away and then have that be it. But I never got to have that experience. “Before the trip I never really felt like I had to have this sense of closure but I did realise that this was a great opportunity for me to say farewell to the marathon. I’ll certainly never run a marathon again. “When I did get to the finish line in Sydney, I took my shoes off and I was surprisingly emotional. I didn’t think it would be that big a deal – I’d been retired for over a year already – but it was really emotional and it did kind of bring a real sense of closure, of saying goodbye, of saying thank you and allowing me to kind of move on with my new season in life. “There was certainly some hurt there for sure (over the way his career ended) and it felt like this trip did bring some healing to my soul. 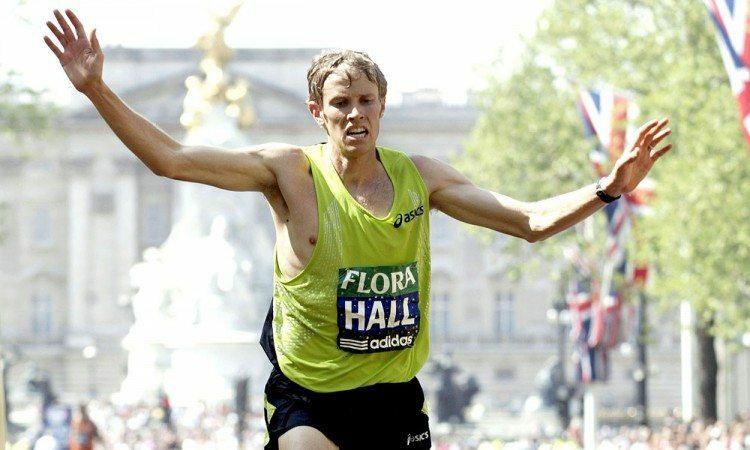 It allowed me to end it how I wanted to end it – on my terms and not having my body forced to stop because I was fatigued as I was,” added Hall, pictured below completing the London Marathon in 2007. Hall’s preparations were not exactly what you would call methodical — the furthest he ran in training was just eight miles. In fact a hip injury which appeared almost from nowhere in Morocco halted what was some impressive progress. An opening marathon of 3:26:31 on the snow and ice was followed by 3:06:33 in Punta Arenas, 3:15:36 in Miami, an off-form run of 3:41:41 in Madrid and the 3:04:37 Marrakesh marathon which ultimately ended up inflicting so much pain. “I felt like I was actually getting in better shape as the week was going on,” says Hall. “I was hoping I would train myself into shape and that was kind of happening. “I think there was definitely some muscle memory in there. One of the reasons I didn’t do a lot of training was that I was thinking ‘I’ve done this before, I used to run 26 miles in practice all the time so it’s not that big a deal’. As the pain increased, so did the amount of time the 34-year-old was having to spend on his feet. The sixth race, in Dubai, brought a time of 3:46:20 before the completion of the challenge in Australia in a time of 5:15:34. So which is harder to run – a 2:04 marathon or a 5:15 marathon? “I can tell you which one I’d rather do!” laughs Hall. “They are hard in different ways. In the five-hour marathon I just felt like I was out there forever because I was out there forever! It felt like so long to be exercising and it was just hard to be on your feet for that long. I’d never done that before, not even close, so it was painful but the pain was less sharp. “The pain when you’re 20 miles into a marathon and you’re running under five-minute pace the whole way…it is super intense, almost even numbing. It gets to the point where my forearms are going numb and that’s when I know I’m getting close to maxing out my capabilities. Either discipline needs not only physical endurance but a great deal of mental fortitude as well. Hall’s way of breaking down the challenge was a simple one. “Trying not to think about it too much,” he chuckles when asked about any tricks he tried to play on his mind. “That’s one of the biggest things that people get themselves into trouble with when they’re running – they are over-thinking things, making it way more complicated than it needs to be, building it up to be way bigger than it needs to be. They are just not thinking about the mile they are in and just doing the best they can for the mile they are running right now. “Standing on the start line in Antarctica, knowing I’m about to run seven marathons in a row and not having run over eight miles in four or five months, I could very easily have turned into a headcase right there! “But I just kept reminding myself, whenever I started to think about the future – whether it was the future miles of the race I was in or the coming days – to ‘don’t think about it, just focus on the mile you’re in. Do the best you can with where you’re at, with whatever fitness you have and whatever body you have. “I have a completely different experience running now compared to when I was competing professionally. I have 50 extra pounds, I’m not training and I’m not doing any speedwork or anything like that. I am not in good running shape at all. “It was a totally different experience but it was also really fun. I had zero pressure of performing – I was just out there enjoying myself, joking with people that were also on the run, having cookie-eating competitions with one guy who was doing the race as well. I was just having a good time. Clearly, where the marathon and Hall are concerned, it truly was a fond farewell.